Living… at 623 East 68th Street in Manhattan, in apartment 3C. Ethel and her husband Fred bought this brownstone apartment after retiring and settling in New York City. They keep close relationships with their tenants, which can have its pros and cons – particularly when two of those tenants (Ricky and Lucy Ricardo) are your best friends. Profession… landlord and housewife. Before settling down, Ethel and Fred also had a vaudeville act, Mertz and Mertz, which performed all over the country. Interests… co-president of the Wednesday Afternoon Fine Arts League with Lucy, as well as a fellow card-game aficionado. Ethel has also shown talents as a singer and piano player with her signature piece, “She’ll Be Comin’ ‘Round the Mountain.” Gossip is another passion. While she doesn’t pursue the limelight as stubbornly as her best friend, Ethel’s not immune to the glamour of Hollywood and the finer things in life. Relationship Status… married, sometimes begrudgingly. Ethel and Fred have been together for decades, but from watching them, you would be surprised they are a couple. They constantly bicker and throw barbs at each other. Ethel spends money carelessly, and Fred is (to hear Ethel tell it) a stingy “fat old goat.” Despite this, they’re clearly in it for the long haul. Challenge… keeping Lucy out of trouble, or getting her out of whatever trouble she’s in. Ethel can’t help but be tantalized by whatever idea has seized Lucy’s imagination. Together they’ve opened a diner and dress shop, and attempted to start a salad dressing company. She often finds herself roped into Lucy’s schemes, to the point of putting herself in potential legal or physical danger. Most of the time, it ends in downright embarrassment and a scolding from their respective husbands. But nothing can take Ethel away from Lucy. Their bond is stronger than blood, for better or worse. Personality… loyal, nosy, and witty. Ethel will walk to the ends of the Earth for Lucy, but she’ll also read her mail without asking. (Ethel firmly believes postcards are fair game.) She’ll play her role as a dutiful housewife when she has to, but can also shut down Fred with a single fat joke. She’s not as wide-eyed or naïve as Lucy, but she always empathizes with her. She can be proud and vain when it comes to her own talents, but never takes herself too seriously. Ethel Mertz's popularity ranking on CharacTour is #2294 out of 5,000+ characters. See our top-ranked characters and read their profiles. I Love Lucy is an American television sitcom starring Lucille Ball, Desi Arnaz, Vivian Vance, and William Frawley. The black-and-white series originally ran from October 15, 1951, to May 6, 1957, on the Columbia Broadcasting System. After the series ended in 1957, however, a modified version continued for three more seasons with 13 one-hour specials, running from 1957 to 1960, known first as The Lucille Ball-Desi Arnaz Show and later in reruns as The Lucy–Desi Comedy Hour. 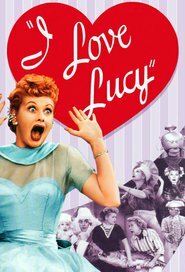 I Love Lucy was the most watched show in the United States in four of its six seasons, and was the first to end its run at the top of the Nielsen ratings. I Love Lucy is still syndicated in dozens of languages across the world. The show was the first scripted television program to be shot on 35 mm film in front of a studio audience, and won five Emmy Awards and received numerous nominations. In 2002, it ranked second on TV Guide's list of television's greatest shows, behind Seinfeld and ahead of The Honeymooners. In 2007, it was listed as one of Time magazine's "100 Best TV Shows of All-TIME." I Love Lucy remains popular, with an American audience of 40 million each year.